Are you ready to sell your home? Don’t let the fall or winter months stop you! Selling your home in the winter may not seem like the best move, but once you’ve read through the tips below, you may just change your mind. Here are a few good reasons why listing your home in winter or fall could be the smartest real estate move you’ll ever make. For many prospective home sellers, the thought of moving during the winter is what deters them from listing their home. While it is true that moving and packing in hazardous conditions can be tricky, there are some aspects you can always control. The methods and tools you use to prepare for your move can make the entire process smoother and safer. Packing during the busy holiday season can be stressful, so if you feel overwhelmed, think about finding professional help. It’s an inexpensive way to take some stress out of your move, but if you decide to organize boxes yourself, check out some online tutorials before you start. Packing seems like a simple task, but there are some expert packing steps that can make securing your belongings a breeze. One tip is to place foam plates between your breakable dinnerware during the move. Plus, those plates will come in handy when it comes time to prep some easy meals for your move. Keep your slow cooker in your day-of box so you can throw together some healthy, filling options for your family as you move and unpack during those first few days. Attracting potential buyers should always factor into your listing decision, but don’t let the darker winter months stress you out. You can still beautifully stage your home during the fall and winter without detracting from the overall appeal of your property. For instance, focus on features that buyers will see first, such as your floors, walls, and even the outside of your home. You may need to replace any stained or worn out carpeting or wood, or you may be able to give your floors a thorough deep cleaning. Approach these areas from a buyer’s perspective. Back outside, give some thought to the lighting around your property. Since the winter means shorter days and cloudy skies, potential buyers may be viewing your home when it’s darker outside. Increase the safety and warmth of your home by properly lighting any dark corners and keeping walkways well-lit. Welcoming lighting can add some curb appeal for potential buyers, but you should also consider other ways to spruce up the outside. Take care of any landscaping concerns and add some bright touches of color with potted plants or a painted door. One of the biggest concerns for sellers during the winter is that listing their home now will mean less interest in their property. This could not be further from the truth, however, since homes that are listed in the fall and winter will attract more serious buyers. It’s one of the motivations for selling now, rather than later. Since most people list their homes in summer and spring, you will also be working with less competition. More earnest buyers, plus fewer homes on the market, means you could sell your home and make your move a lot faster. If you are concerned with the current real estate market, some online research is always a smart move for motivated sellers. You can easily check out recent sales, home prices, and market trends for your area so you can make an educated decision regarding your listing. Consulting a local realtor is also a good choice for sellers who want to take the guesswork out of listing and selling their home during the winter. 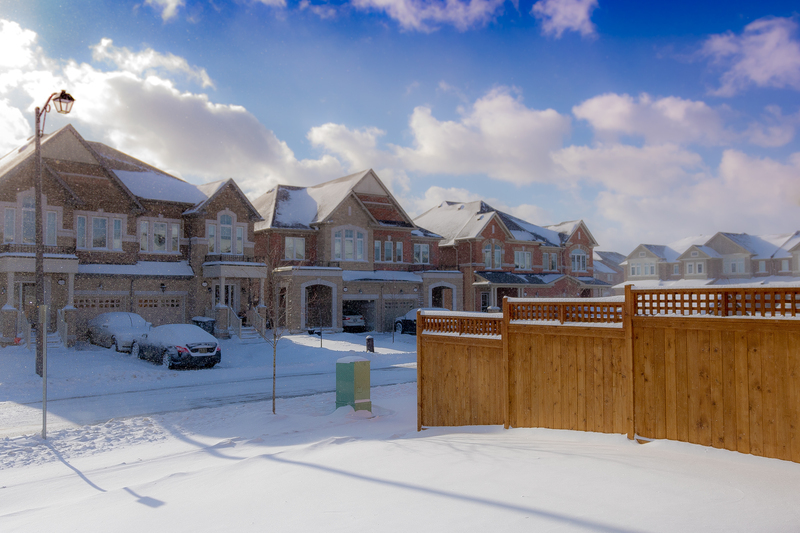 After reading through this article, it’s easy to see that there are very few drawbacks to listing your home during the winter months. So, take full advantage of the fall/winter market perks so you can get settled in a new home faster!